Posted January 14th, 2018 by Mike Boyes & filed under Higher-Order Cognitive Functions in Aging, Human Development, Industrial Organizational Psychlology, Industrial Organizational Psychology, Intelligence, Social Cognition, Social Influence, Social Psychology, Student Success, The Self. 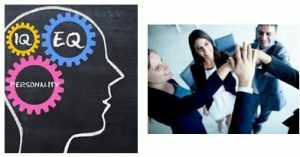 Description: I wrote in general terms about Emotional Intelligence or EQ in the previous blog to this one (http://wileypsychologyupdates.ca/general-psychology/eq-what-is-it-should-you-get-more/). Even if you do not look through psychology research literatures you have probably heard the term EQ and you have probably heard references to the many many things about work life and career success that EQ is related to. The authors of the article linked below mention this point and then indicate that, in fact, little research has been done formally looking at the link between EQ and developmentally downstream outcomes such as career success measured simply though salary levels. Testing to see what is and is not supported by well-produced data is an important part of how psychology works to build our knowledge base. Have a look through the article (it’s the original research paper) and pay particular attention to how things were measured and to whether it feels like the design of the study is a good one for addressing the question of if, or how, EQ is related to downstream career success. Source: Rode, J. C., Arthaud-Day, M., Ramaswami, A., & Howes, S. (2017). A time-lagged study of emotional intelligence and salary. (reference and links below). So, does the concept of social capital make sense as a way of thinking about and perhaps tracking the “investment” of EQ in organizational and social settings? How are the factors of mentorship and job level related to the main hypothesis of a relationship between EQ and salary? As research digs further into areas of interest like this one we begin to see more work on the mediating and moderating variables that may be at play. A mediating variable can be thought of as a stepping stone that can take one beyond the potential of something like a higher EQ and towards the realization of particular outcomes such as higher salary levels. They help us to better understand how things work. Moderating variables have more to do with conditions under which certain relationships are more or less effective or more or less impactful. So, in the current study, higher EQ seems to have bigger influence on salary levels at higher levels of organizations. The other big finding in this study was based on its longitudinal (over time) nature which meant that EQ levels prior to entering the career path was linked to outcomes a decade or so later making it possible to more closely suggest that EQ caused the different career outcomes. While there may still (and likely are) other variables to be considered in future research the question of how things like EQ are causally related to career outcomes are particularly important if we are to make good decisions about training and career preparation (e.g., when should we be pushing EQ development and training?). Ho is EQ related to salary 10 years into career? How might mentorship mediate the effects of EQ and how might job level moderate those same effects? What training implication are suggested by this study? What should students in college and university settings think about doing in light of these findings (assuming subsequent research supports them)? Rode, J. C., Arthaud-Day, M., Ramaswami, A., & Howes, S. (2017). A time-lagged study of emotional intelligence and salary. Journal of Vocational Behavior, 101, 77-89.